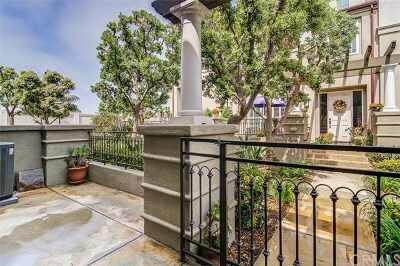 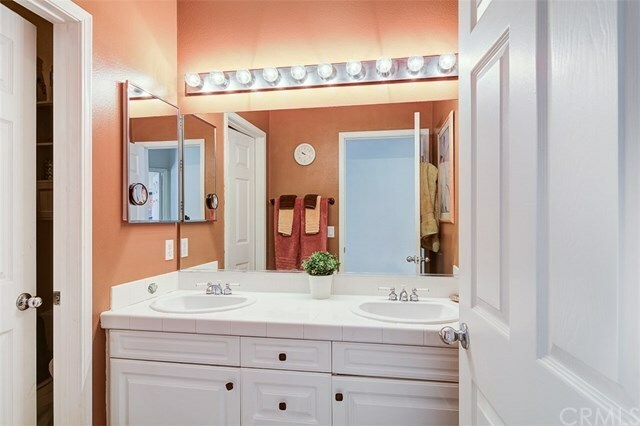 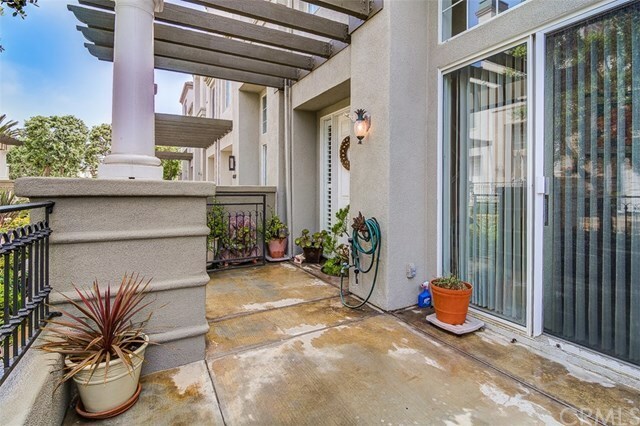 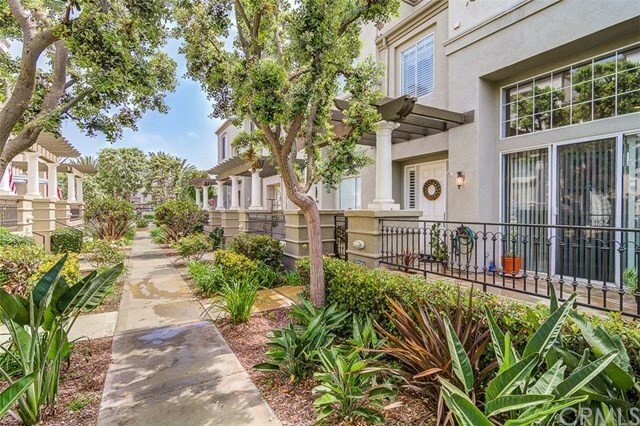 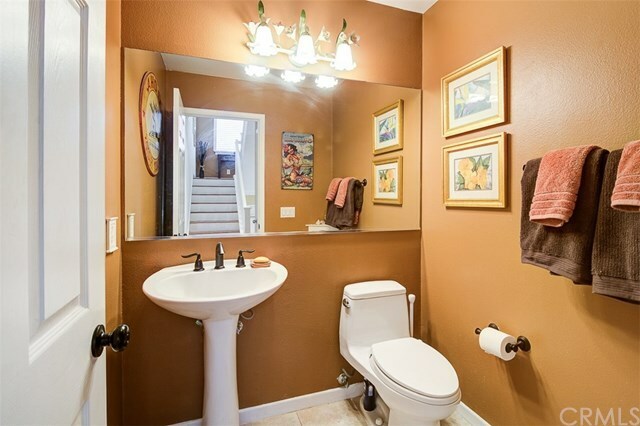 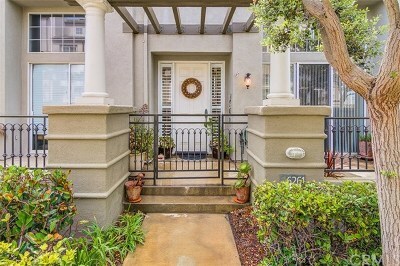 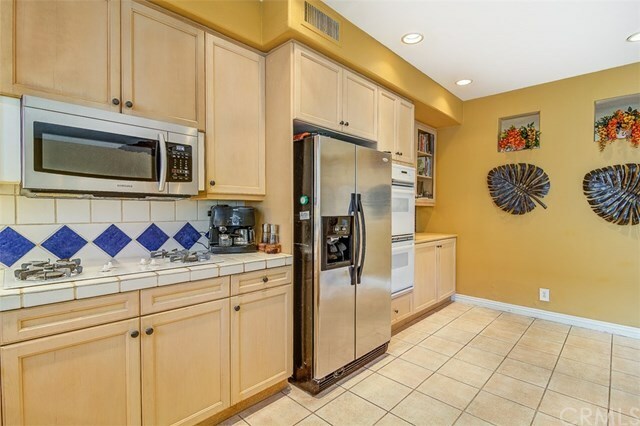 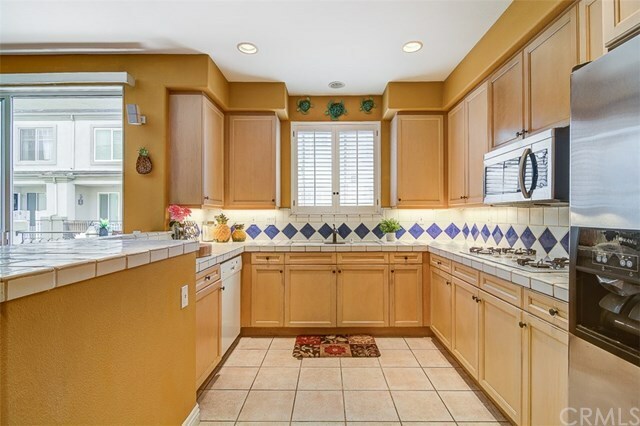 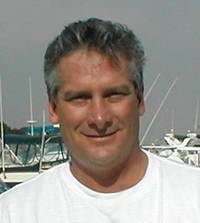 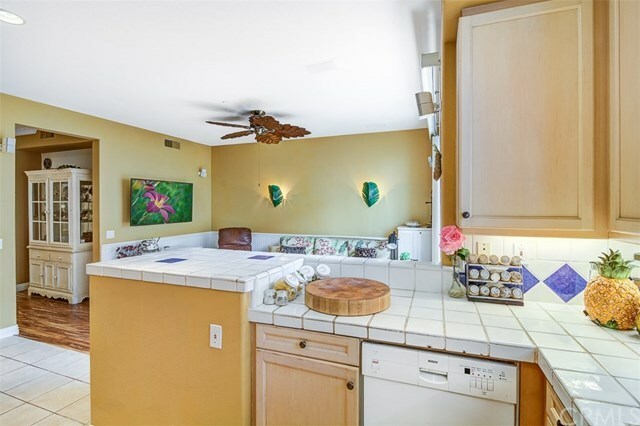 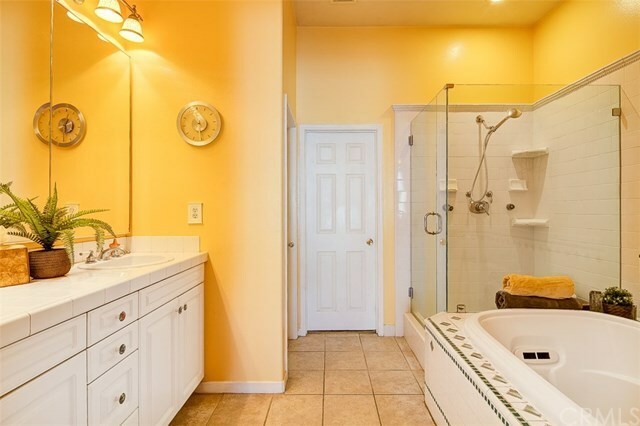 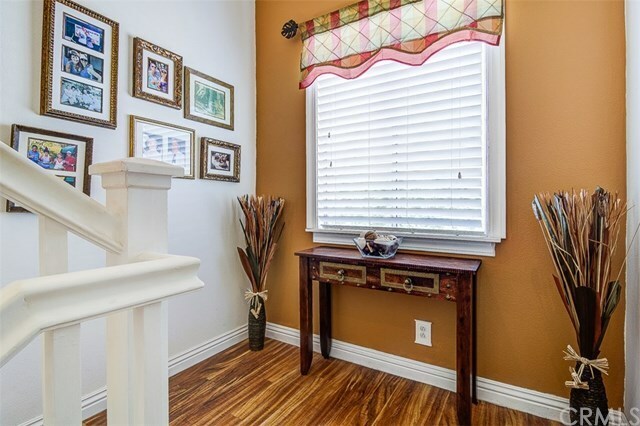 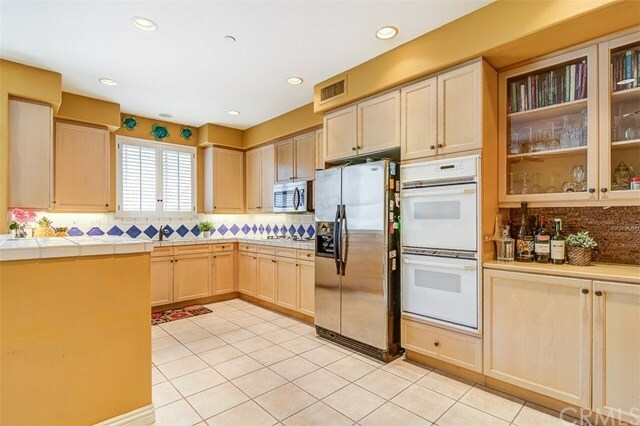 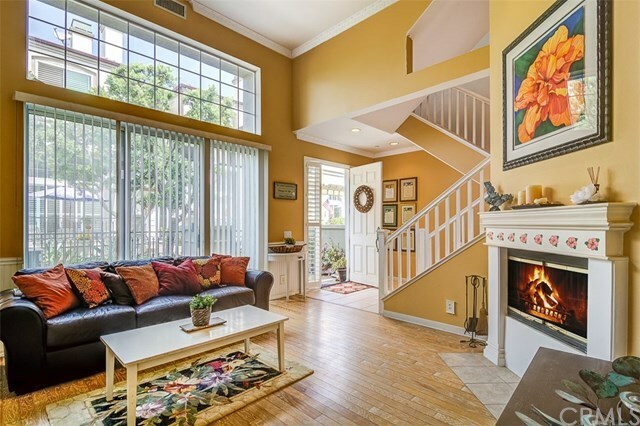 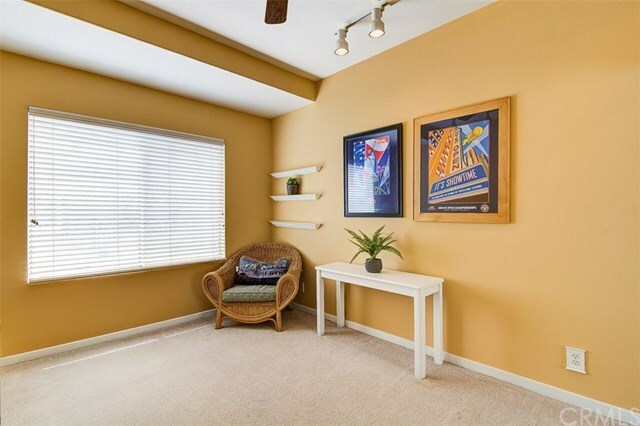 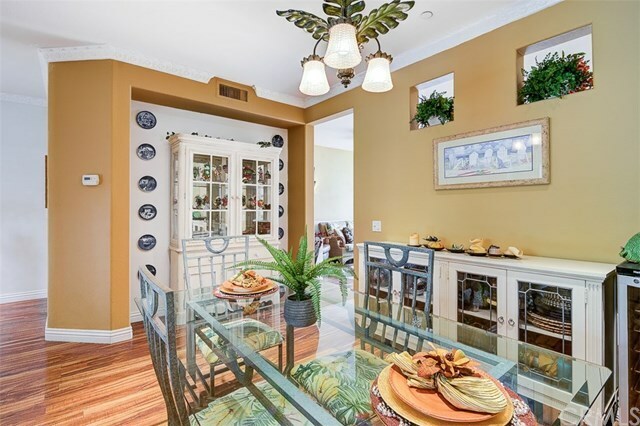 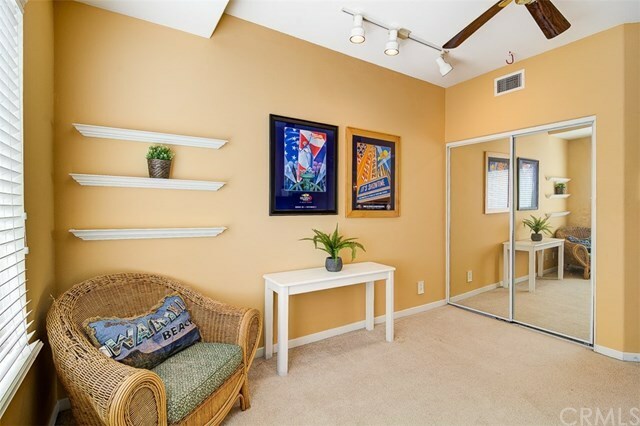 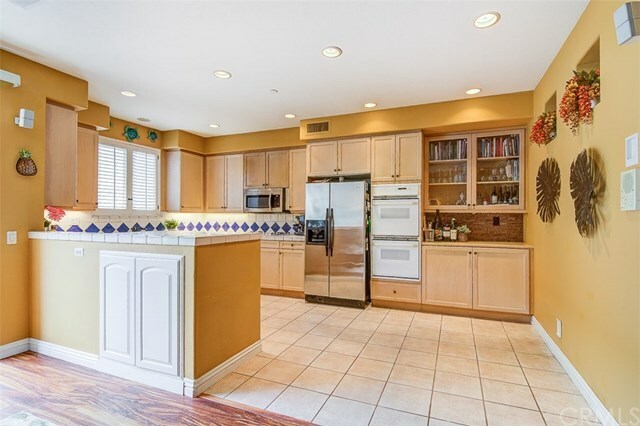 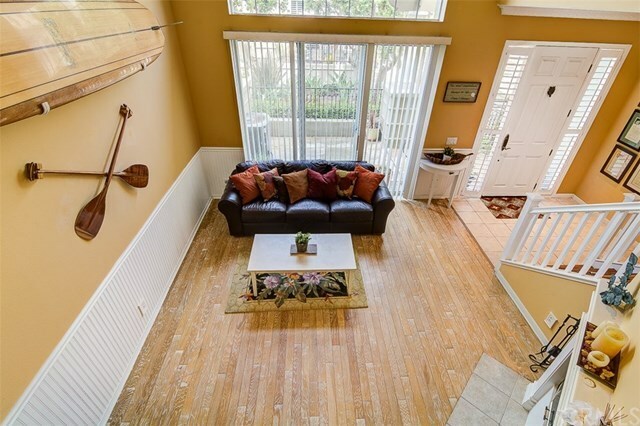 This home in the desirable Gated Surfcrest community is a remarkable find! 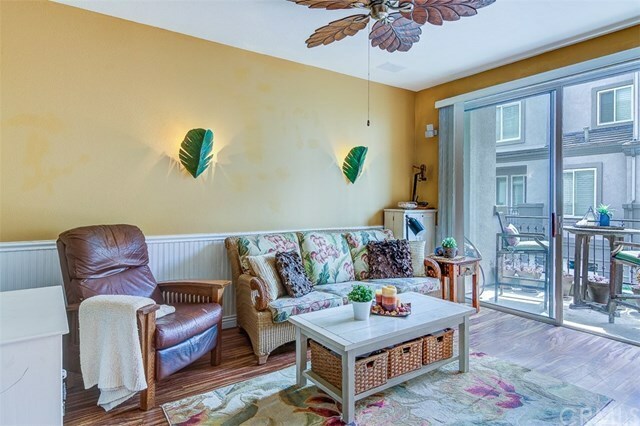 Sitting less than 500 yards to the ocean you can take a walk with your dog to the Dog Beach, bike to the beach to catch some waves, spend the day shopping at Pacific City, or grab a meal on Main Street. 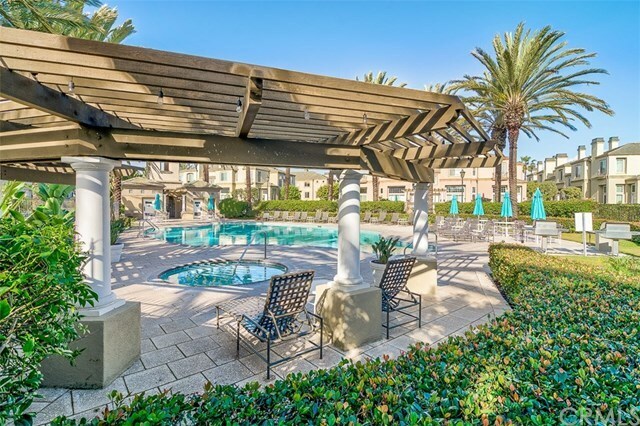 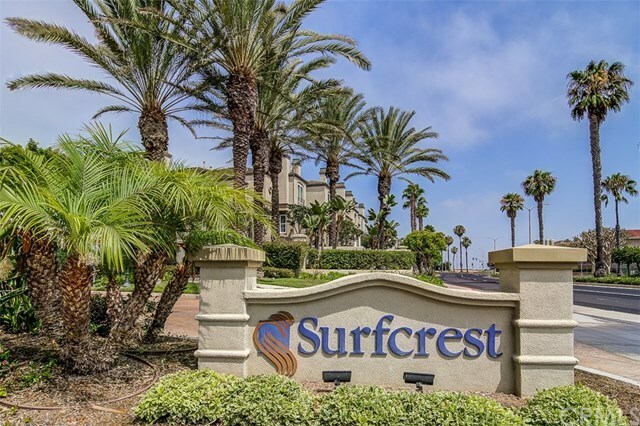 The beautiful Surfcrest community has many amenities including a pool, spa, and barbecue area to spend a day with family and friends. 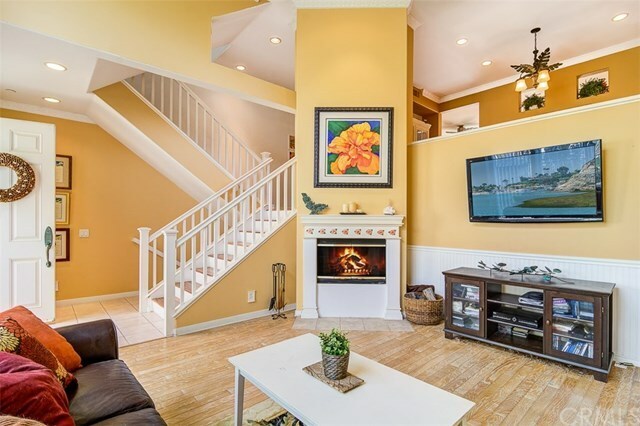 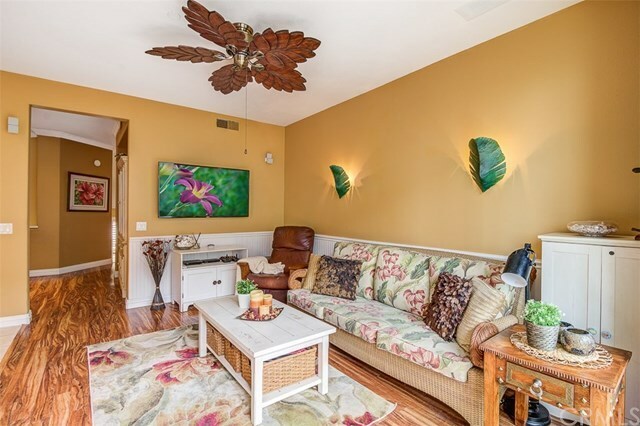 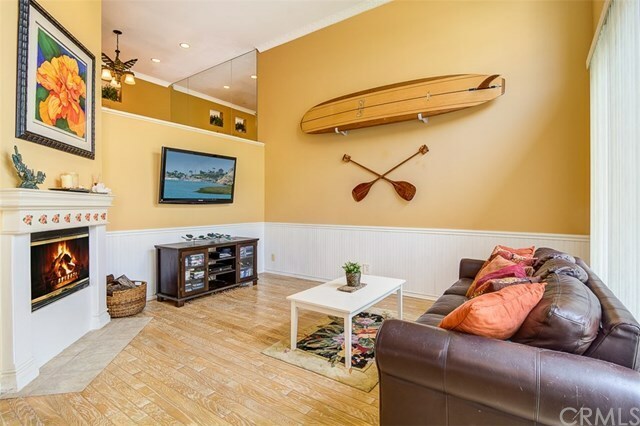 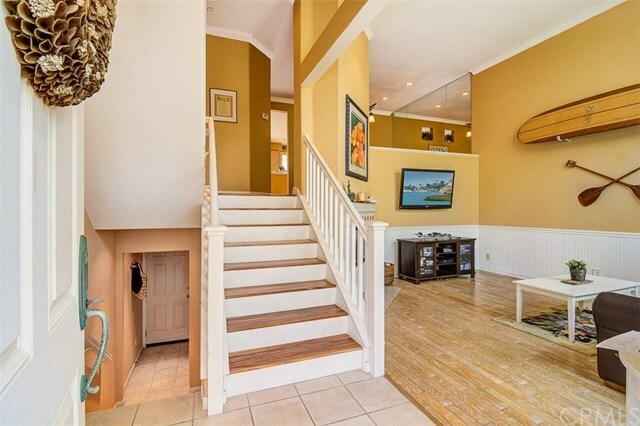 When you enter this tri-level home you are greeted by a living room complete with fireplace and sliding doors that lead you to your front patio area where you can breathe in the ocean breeze. 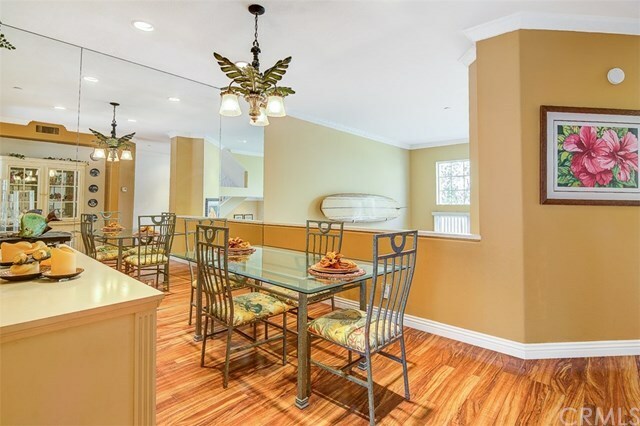 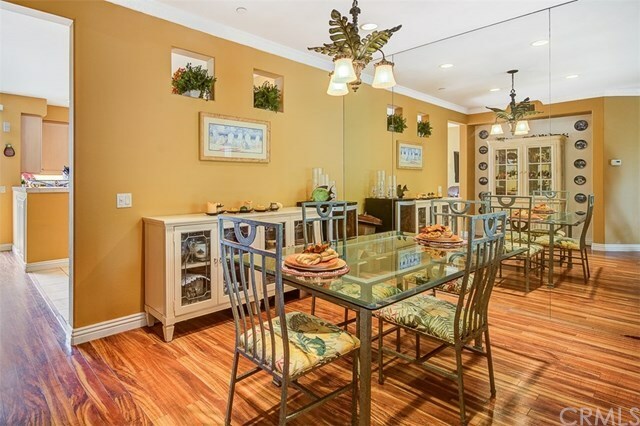 The second level of the home has a dazzling formal dining room where you can entertain friends and family. 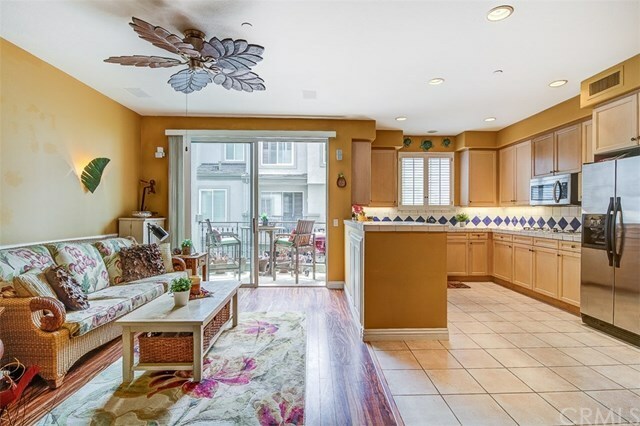 Just off the formal dining room, you will find the open floor plan of the kitchen, living room, and intimate patio area. 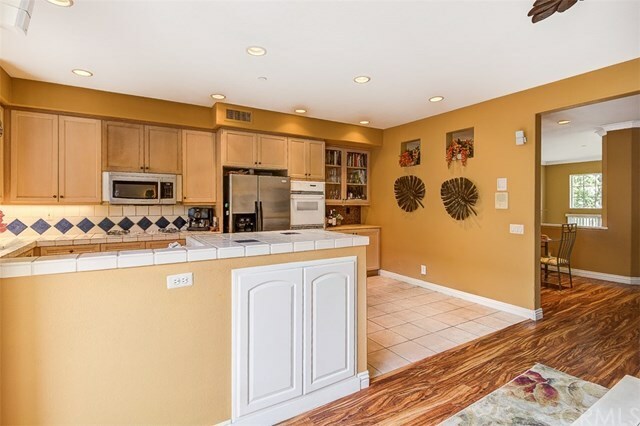 The kitchen has a large countertop with room for seating, updated appliances, and nook with built-in cabinets for extra storage. 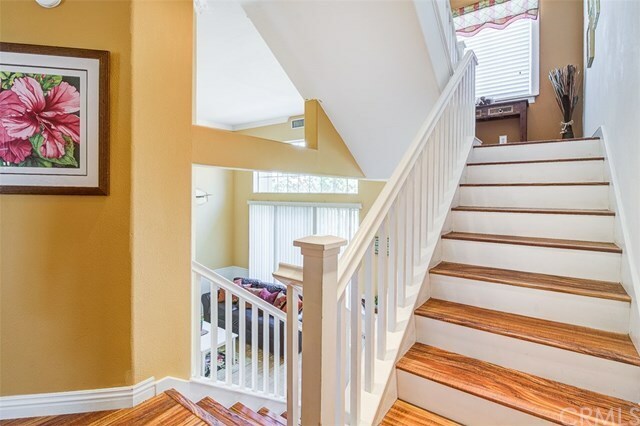 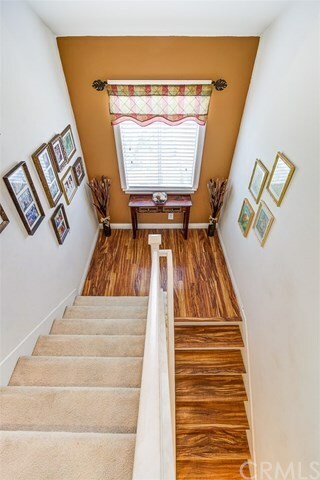 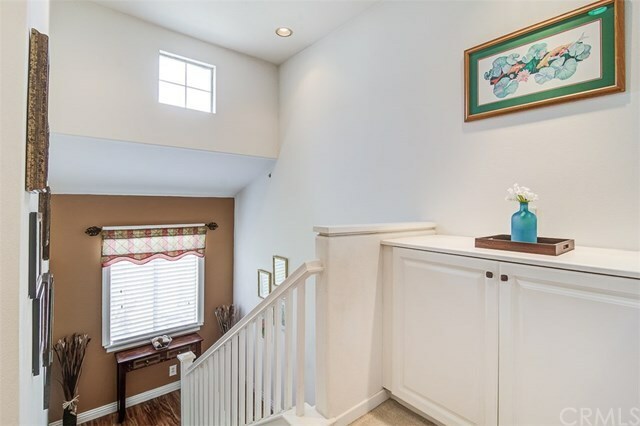 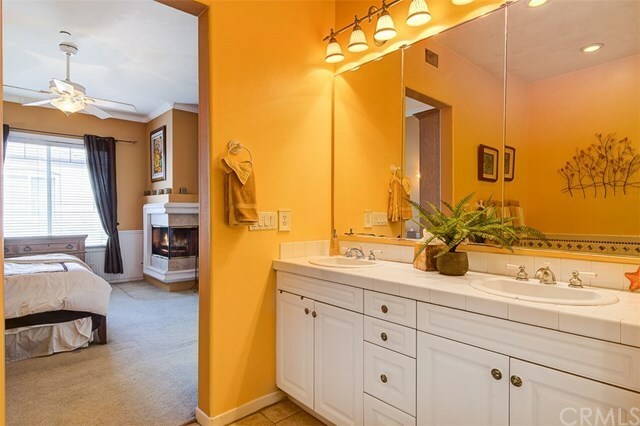 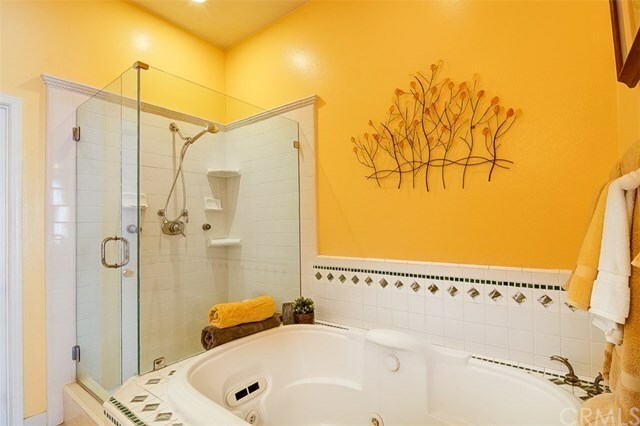 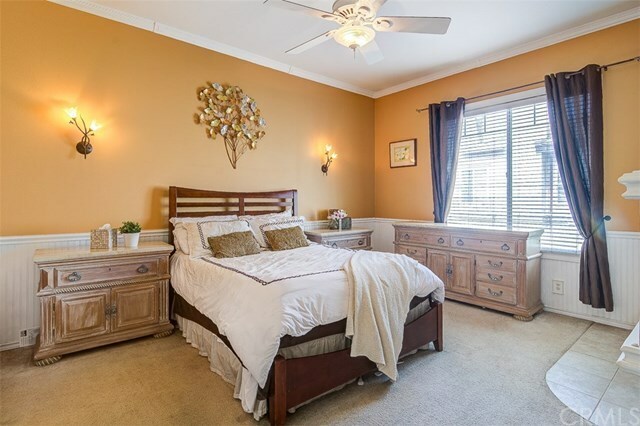 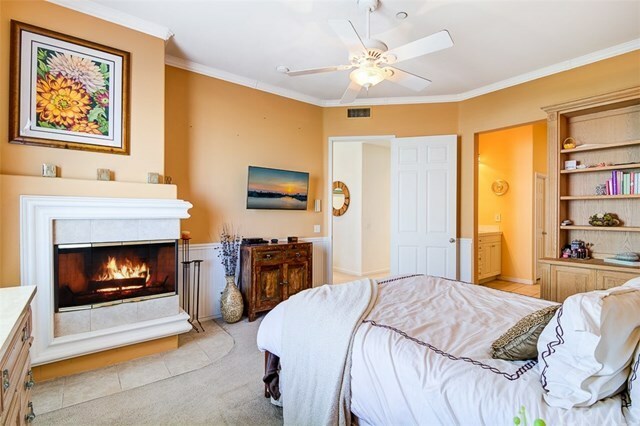 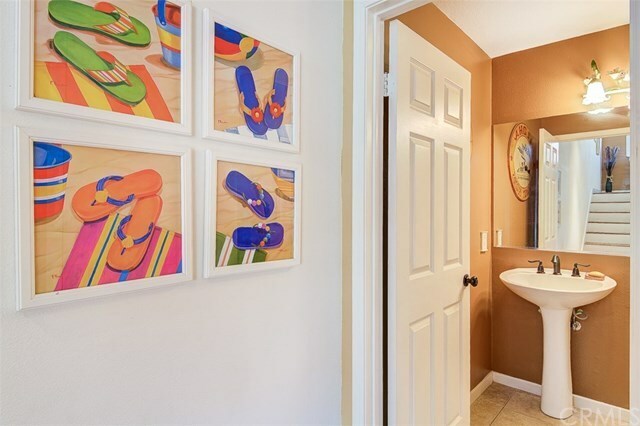 Up the stairs you'll find the comfortable master bedroom offering a serene view of the water and Catalina Island, opening to the master bathroom with dual sinks, soaking tub, and a walk-in shower with tile surround. 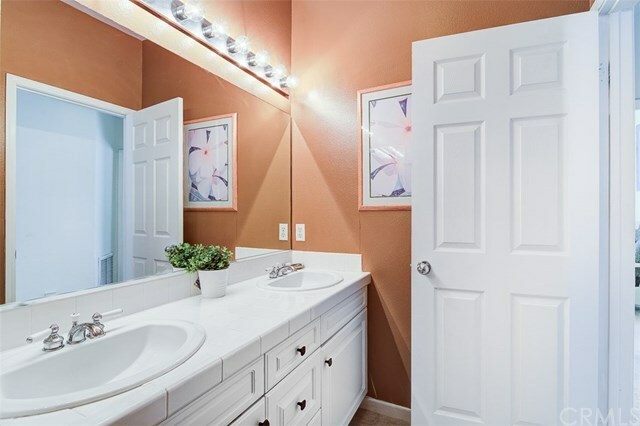 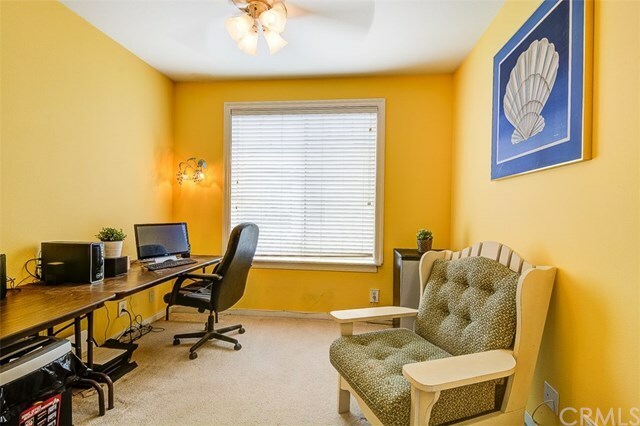 The remaining two bedrooms upstairs both are outfitted with closets, large windows, ceiling fans and share a full bathroom with dual sinks and a shower. 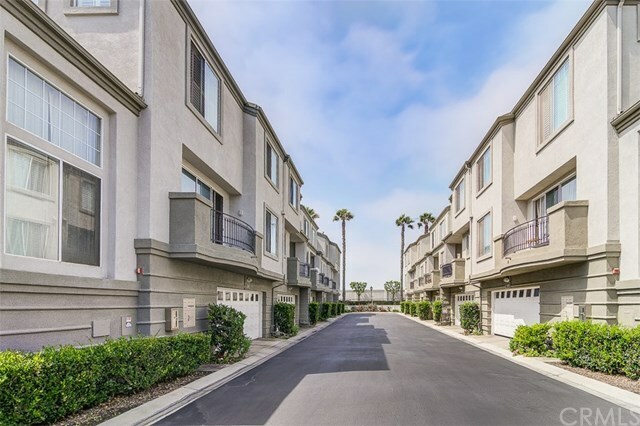 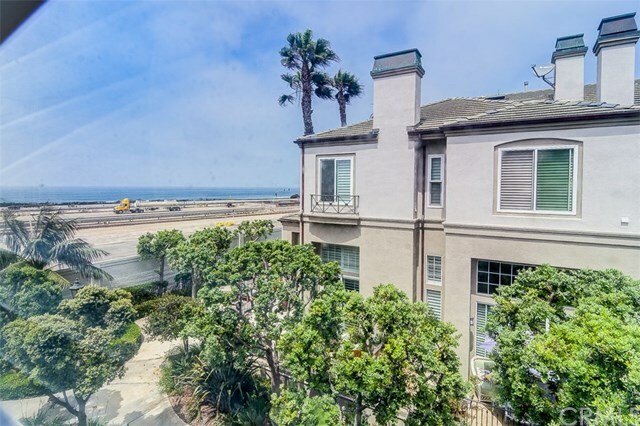 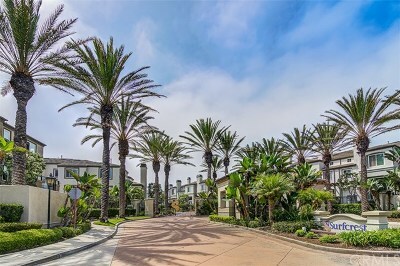 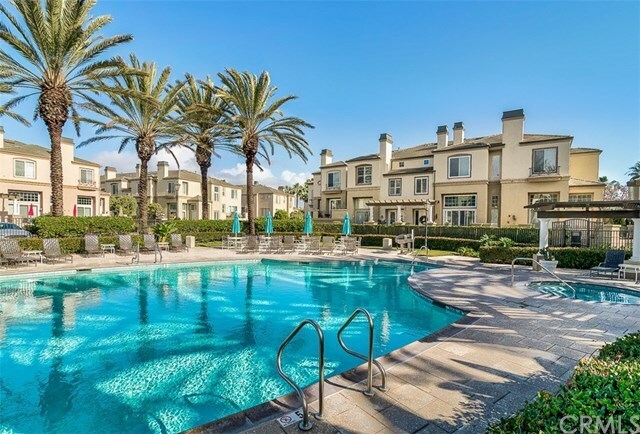 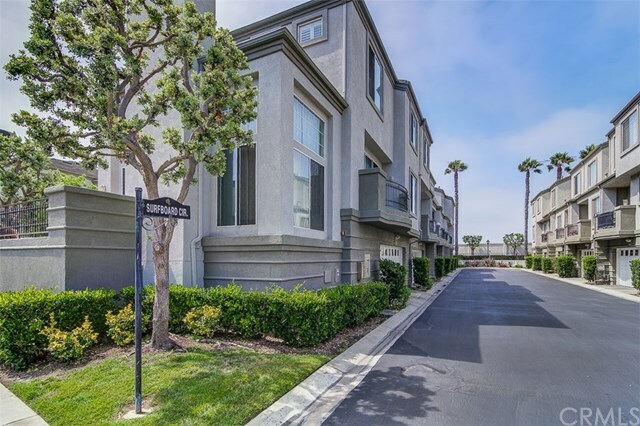 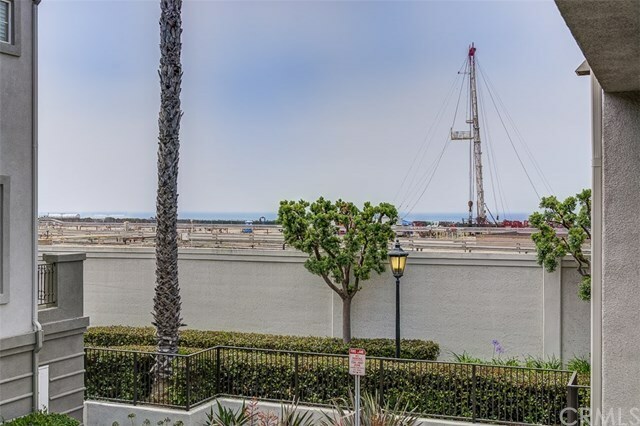 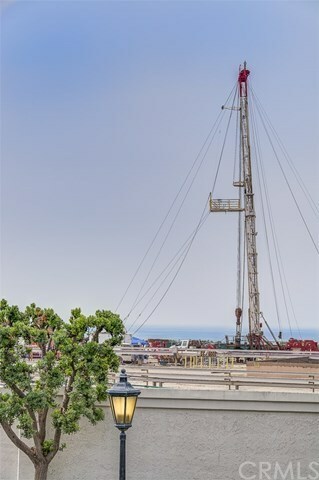 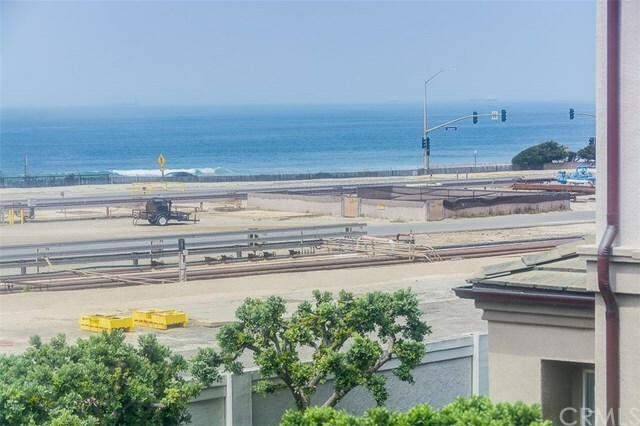 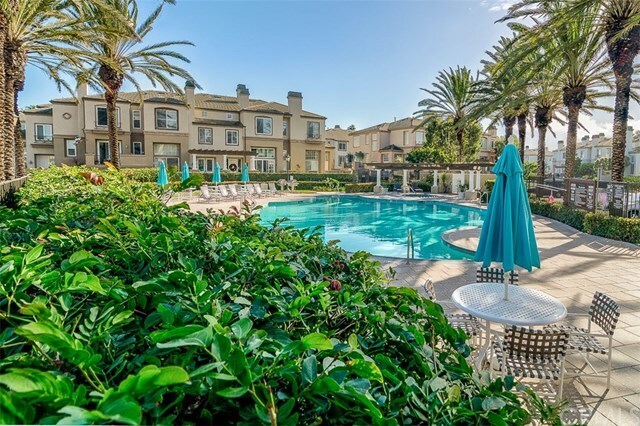 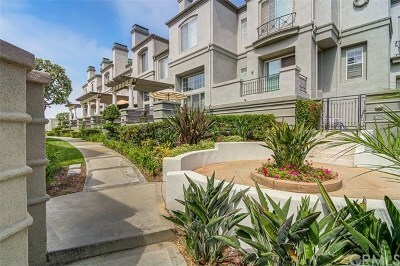 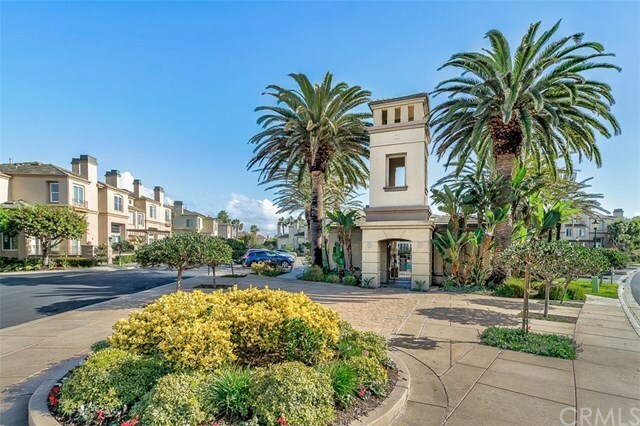 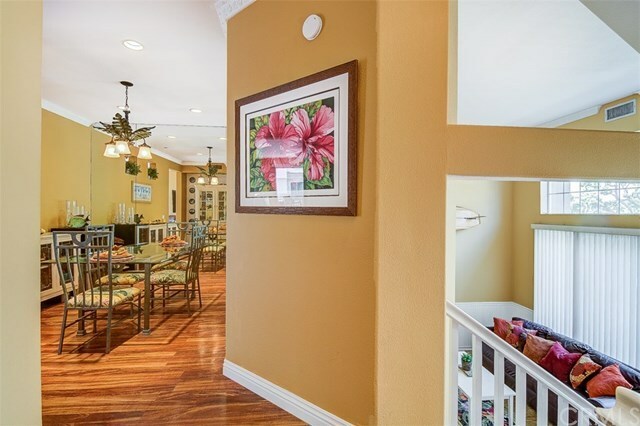 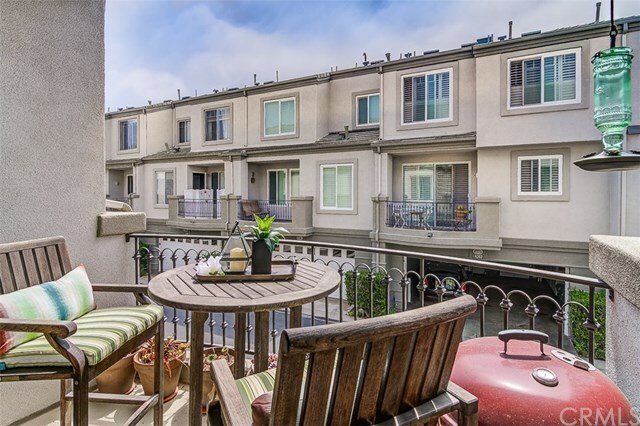 Just steps to the sand, this ocean-close resort-style community offers all the best of Huntington Beach living.